April is music month at Urban List and we’ve got all of your music needs covered with this epic Spotify playlist. These are 9 music festivals worth travelling for. Barcelona might not like tourists, but tourists sure like Barcelona. With festivals like Primavera Sound, it’s no big surprise why. This thing has been blasting every May/June since 2001, taking over the massive Parc del Fòrum complex with three days of eclectic rock, pop and underground dance tracks. The line-ups are usually excellent, and this year will feature Tame Impale, Miley Cyrus, Solange, Future, Nas + many more (226 artists and groups to be exact). 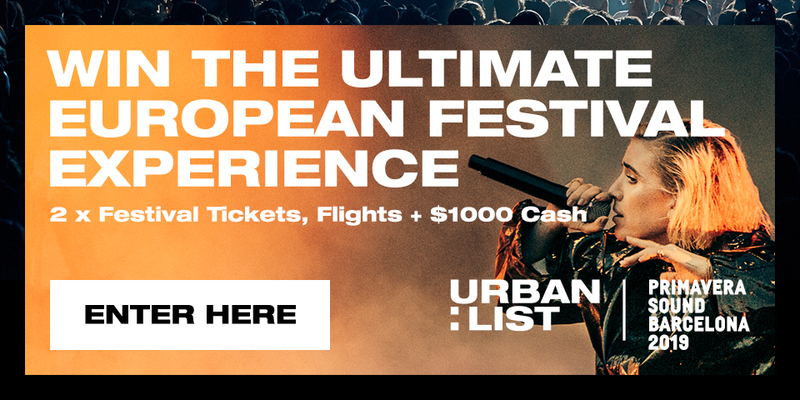 This year Urban List have partnered with Primavera Sound to bring you a chance to win the Ultimate Festival Experience, enter below. Obviously we’re including Coachella, regardless of its descent from indie music paradise to corporate-sponsored Super Bowl halftime freak show. When Pearl Jam boycotted Ticketmaster and played for 25,000 fans at the Empire Polo Club back in 1993, nobody knew what Coachella would become. Now it’s arguably the most glamorous music festival in the world (but not the biggest, see below). The line-ups are the stuff of global headlines. GA Passes sell out in hours and start at USD$429 for the weekend. Even getting a preferred camping spot will set you back USD$325. Still, if you want to see Childish Gambino and Ariana Grande in their natural habitats, this is where you go. People who can’t get Glastonbury tickets will usually head to the Reading Festival (or its sister event in Leeds). They happen simultaneously over the August bank holidays in the UK—a three-day neural blast of rock, metal, hip-hop and dance. Fun fact, the Reading Festival is the oldest global music festival still in existence. Seriously, gods have walked this stage: the Stone, Fleetwood Mac, The Kinks, Pink Floyd, Iron Maiden, Alice Cooper. The list goes on and on. A weekend ticket will set you back £205, but you usually get your money’s worth. 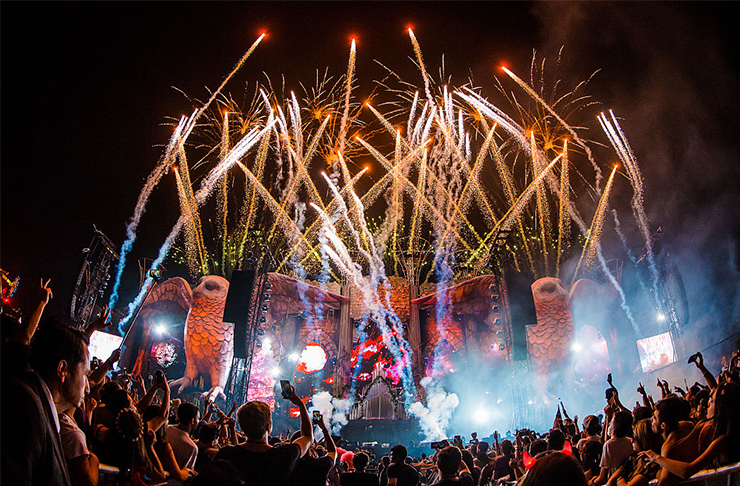 Electric Daisy Carnival (usually shortened to just EDC) is like mecca for electronica fans. In 2017 it won Music Festival of the Year at the Electronic Music Awards. It’s a huge, three-day bender in Las Vegas—one part music, two parts LED art exhibition. Seriously, the stages and neon superstructures at EDC are truly mind-boggling (and remember, most of the people dancing are already, shall we say, slightly more boggled than usual). Expect massive crowds and headline acts like Armin van Buuren, Calvin Harris (it seems hard to keep him away), Martin Garrix, Seven Lions and Yellow Claw. Bring shoes with a high melting temperature. A lot of people haven’t heard of Sziget, which is weird, considering it’s one of the biggest music festivals in Europe. It’s held every August on Óbudai-sziget (Old Buddha Island) in Budapest, Hungary. Old Buddha Island, in case you’re wondering, is this very green 108-hectare rock in the middle of the Danube. Sziget started as a student event in 1993, but it’s now a week-long party that draws every psych rock, punk and synth fan in western Europe. In 2016, 496,000 people rocked up… People are calling it the European alternative to Burning Man. A 7-day pass costs around 300 Euro, but you can grab a day-pass from just 75 Euro, which is an absolute steal. Look, we could have gone Burning Man instead of Joshua Tree, but JTMF just has such a better vibe (and it’s a dedicated music festival, whereas Burning Man is basically an LSD hallucination in the middle of Black Rock Desert). Joshua Tree is more family friendly. It’s a laid back festival for yoga-bending, love-thy-fellow-man type folk who just want to listen to indie bands, kiss people and count the stars. Nearly all the acts are small-time, and JTMF likes to keep it that way: this is where groups like Edward Sharp & The Magnetic Zeros, Elle King and John Butler Trio rose to fame. There are two festivals each year (one in May and one in October), and tickets start around $190 for a four-day festival pass. Summerfest describes itself as the ‘peoples party’, which sounds like a political campaign slogan. 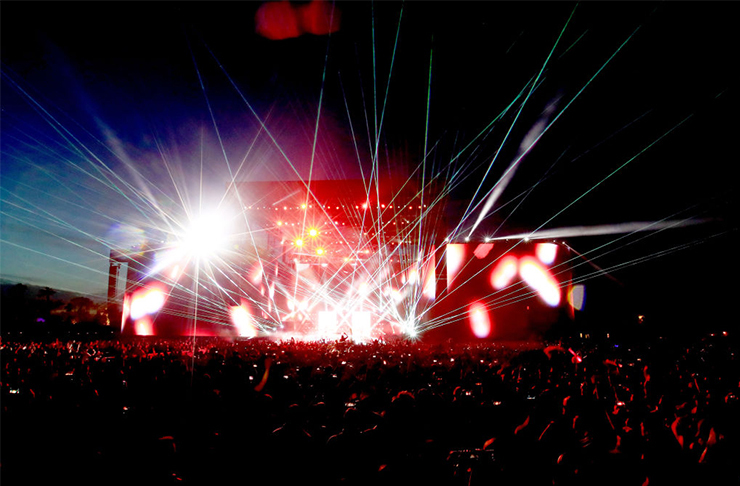 It’s technically the largest music festival in the USA, while also being one of the cheapest. Yep, an all-access day pass here will set you back just USD$20. As anyone who’s paid to attend Coachella will tell you, that is crazy-good value. Summerfest runs for 11 days and features over 800 acts, usually of the mainstream radio variety (RHCP, Pink and Bob Dylan have all played here over the years). There’s no camping on site—being that it’s in the middle of Milwaukee, Wisconsin—but you can grab parking passes for like $40 bucks. Vienna has been known for festivals since Mozart’s day, but Donauinselfest is a long way from the city’s snooty operatic past. This is Austria’s free (FREE) open-air music festival, running for three days and usually drawing a crowd of over three million people. You’ve got 11 different stages and 16 tented areas to choose from, spread out over 4.5km of festival grounds. You can’t camp at Donauinselfest, but there are official campsites nearby. The history behind the festival is kind of cool: in the 80s, an Austrian politician organised a one-day party to promote Donauinsel as a touristy area. He expected a modest crowd of 15,000 people… but 160,000 showed up. It’s been growing year-on-year ever since. Keep tabs on everything to do with Music Month right here.